911.00 sqft. - 2532.00 sqft. Tridhaatu Kshitij, a project by Tridhaatu Realty and Infra Pvt Ltd is located at Matunga in Mumbai. It comprises well crafted and spacious 2 BHK, 3 BHK, 4 BHK and 4.5 BHK units, with sizes ranging from 911 square foot to 2,532 square foot. Each unit is embellished with Italian marble flooring and powder-coated aluminium windows.Essential amenities such as banks, schools, hospitals, parks and grocery shops are within a 2-kilometre radius of Tridhaatu Kshitij. To add to the convenience of its residents, shopping malls, movie theatres and restaurants are also present in its neighbourhood. Commuting to other parts of Mumbai is easy via the vast network of frequent trains and buses.The Mumbai International Airport is only 13 kilometres from the project. 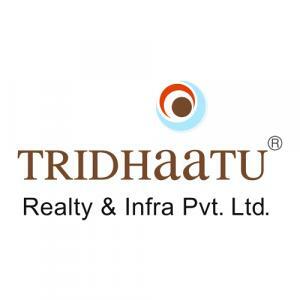 Tridhaatu Realty & Infra Pvt Ltd is a reputed name in the real estate Sector. Every project built by them showcases their experience in this field. They work closely with a team of experienced professionals to ensure quality and accurate timelines with a strong financial base. Each of their projects is world-class, built in harmony with society and nature, that provides modern and comfortable experience to its customers. Their vision is to become the most reliable, respected and professionally managed real estate company. A lifelong relationship with clientele and stakeholders is their mission. Tridhaatu Realty & Infra Pvt Ltd is earning the trust and admiration of customers, investors and others who have interacted with them over the last several years.